As the school year comes to a close, many PTA leaders look forward to an opportunity to put their feet up and relax until school starts in the fall. However, there is one thing that PTA leaders should be planning now to make their PTA more successful in the coming year—planning on how to welcome new members. New members are the life blood of every PTA. We have built in turnover as PTA leaders have their youngest child move on to the next level of their education and your PTA loses that experienced leader. Procedure books can help your PTA retain that knowledge and experience, but without a volunteer to use that procedure book, your PTA isn’t moving forward. Your PTA’s prime new member recruiting time is right at the beginning of the school year, whether it is during school registration days, open house, or your first PTA meeting. Families new to your school will be looking for information on what’s going on at the school and how they can be involved. By creating a welcome packet, your PTA can make a great first impression on these new families and increase your membership. People are more willing to join a group that has its act together and knows what it’s doing and where it’s going. The time to create that welcome packet is now. 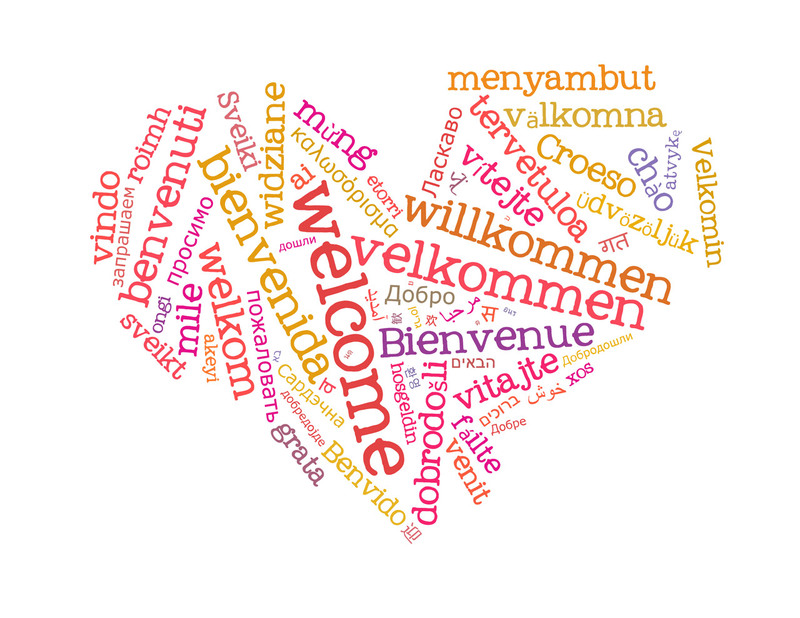 Welcome Letter: A welcome letter from your PTA president should be short, friendly, and provide a quick overview of what’s in the welcome packet. Be sure to provide your contact information and welcome questions and suggestions. Important Dates: Provide a list of your PTA meeting dates and times, any PTA programs and events that are already scheduled, Take Your Family to School Week, as well as dates such as your PTA’s Reflections You can also include important school dates, such as Parent-Teacher Conferences, school holidays, and exam dates. The more comprehensive your calendar is, the more likely it is to be stuck to the front of a refrigerator. How to Join the PTA: Include your membership form, information about dues, and a list of PTA member benefits. Share how PTA membership helps your PTA and your school even if a member doesn’t volunteer. Remind people that you do not have to have a child in your school to join your PTA—consider asking grandparents, community members, and businesses to join your PTA. You will provide information on volunteering later, but when you are asking someone to join is not that time. No one wants to walk into a party and be asked right away if they can help wash dishes in the kitchen afterwards. PTA Officers and Chairmen: Provide the contact information of your PTA officers and chairmen. This list can also include brief descriptions of what each chairman does. Volunteer Opportunities: When listing ways that people can volunteer, be sure to provide information on how much time is required and whether the work needs to be done at school or can be done at home. If you have or will have committees working on programs or events, invite those interested to join the committee with no commitment beyond attending the committee meetings. This lets new volunteers find out what is involved in an event without worrying about being asked to do a lot of work. Chances are, when they see that they might only need to go get some paper goods, talk to a couple of businesses about donations, or sit at a registration table for an hour-long shift, they will step up without being asked directly. Information on Navigating the School: This might include a school map, how to put money in your child’s account for lunch, and all those other little things you had to figure out when you were new to the school. Presentation Matters: How you present your welcome packet is just as important as what you include in it. At the beginning of the school year, families are flooded with information—forms to fill out, letters from teachers, information on activities and groups, and more. Make sure that your welcome packet is easy to read, well organized, and easy to skim and search for information. Consider using different colors to identify different areas of information. Put Yourself in a New Family’s Shoes: Think back to when you were first walking in your school’s door. What questions did you have? What information couldn’t you find? Who could answer those questions? Be sure to talk to some of your members that first joined last year to help figure out what information you need to provide. Be Inclusive: If possible, provide information in other languages if there is a significant number of families that speak that language at home. By starting now on your materials, you will have time to arrange translations of at least some items. Go Digital (But Not Just Digital): The younger an adult is, the more likely they are to prefer accessing information digitally. Make sure your welcome packet is available online, whether through your PTA’s website, Facebook page, or e-mail list. Consider making a QR code (those boxes of dots you scan with your phone) to take people to your welcome packet online and having it displayed at your PTA information table, on a PTA bulletin board, or on a sign at your school’s main office. You’ll still want to have a paper version of your welcome packet as well for those families that have limited internet access or prefer a hard copy to stick on the refrigerator. Your Welcome Packet is a Marketing Tool: Your welcome packet should present your PTA as a well-organized and well-run association that is doing great things in your school. Be sure to share what your PTA does, why you do it, and what you have accomplished. Be sure to include outcomes—what changed because of your PTA’s work—and not just activities. Add Your Own Member Benefits: Consider reaching out to businesses in your area to provide additional member benefits specific to your PTA. Costs of creating and producing your welcome packet can be offset by selling advertising space to businesses. Remember that these ads cannot imply PTA endorsement because of your PTA’s 501(c)3 status. These businesses are PTA sponsors or PTA supporters, not the other way around. This entry was posted in Communications, Family Engagement, Marketing, Membership, Running a PTA. Bookmark the permalink.